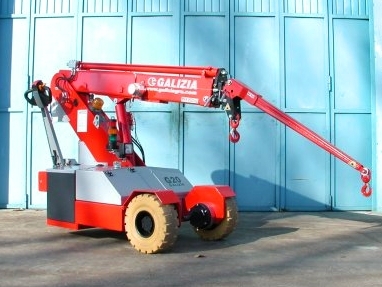 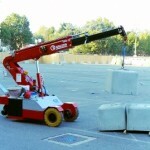 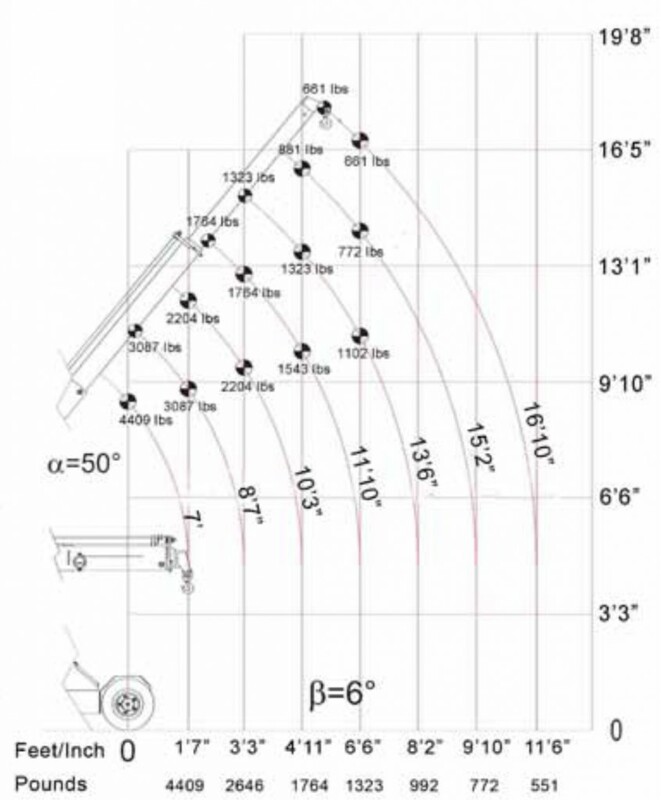 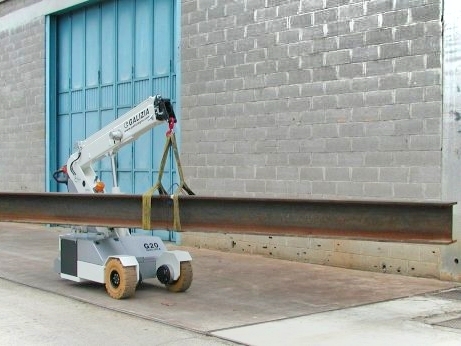 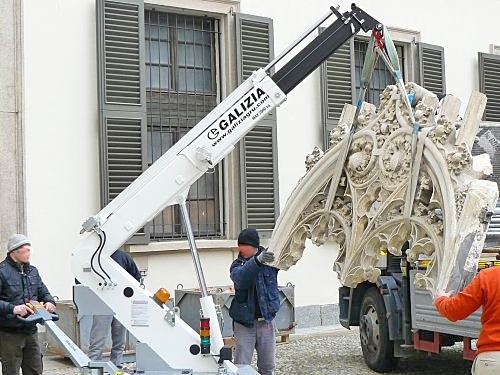 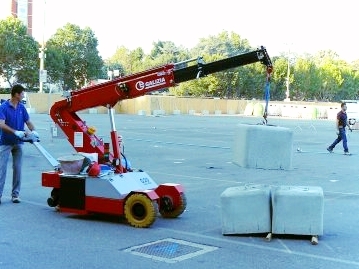 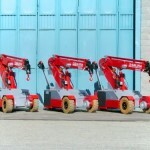 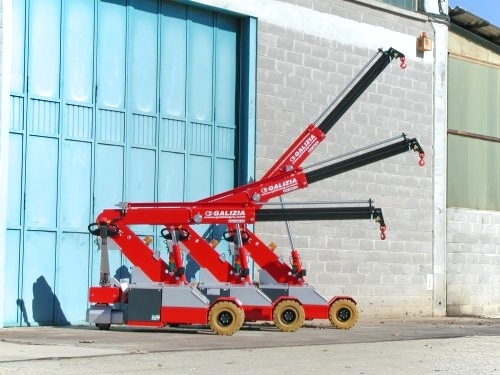 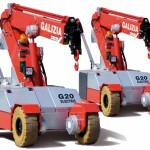 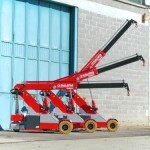 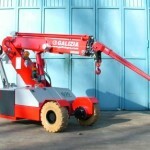 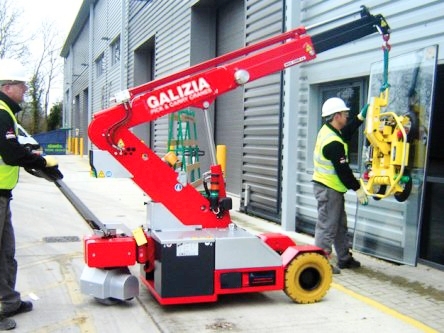 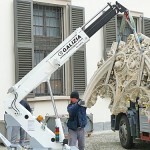 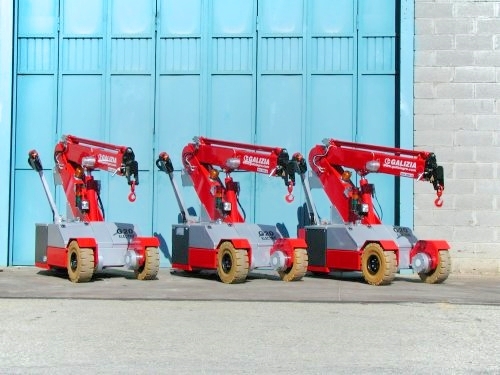 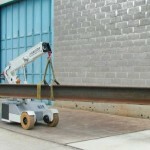 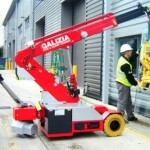 The Galizia pick and carry crane is an innovative new approach to material handling. 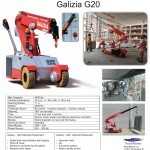 The Galizia will lift up to 4400 lbs and has 11' of outreach. 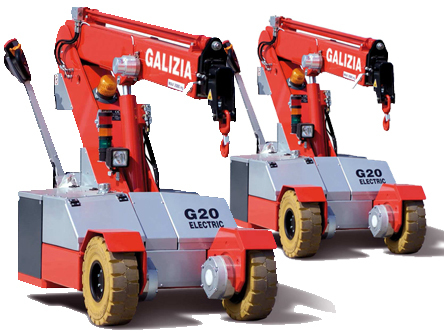 With it's compact size, proportional controls and front wheel brakes the maneuverability of the Galizia is extraordinary.